The condition and details of backfilled decline are unknown. It is assumed that it was closed in the late 1980’s by the Arizona Bureau of Land Management as a part of their Mine Reclamation program. 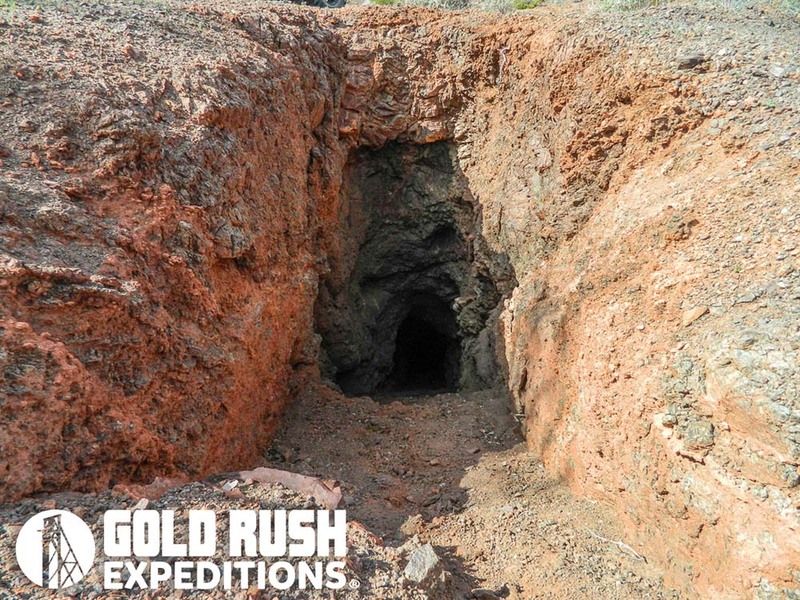 The waste dumps have been spread out around the property and samples of quartz with galena and native gold can be found by picking through the dumps. The other portal likely had an associated interest and or claim that saved it from a similar fate. Additionally, Galena and some likely copper occurring as azurite. The mine is stable and solid, cut into hard rock. It's a tall and wide shaft, more indicative of later cuts which lead to an estimated date of 1935 for the cut. The air is good throughout. No evidence of anyone being in here, at all. There are a few bats in the lower winze and we noted a large owl has nested up about 40 feet into the mine portal. Writings inside the mine indicate there was some activity in 1951 and 1972. Hand cut pick marks at the face of the mine infer that all of the work completed was done by hand. Native gold deposits are present and visible.